When at work, employees need approval from their higher-ups before they do certain things. They also need approval before they’re allowed access to certain information such as work schedules or work management. However, how would an employee go about requesting their higher-ups? 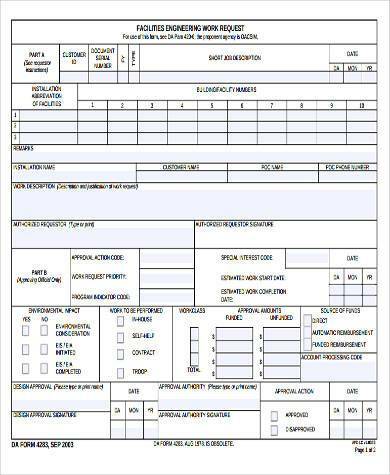 There are Request Forms that allow any employee to request whatever information or resources they need. 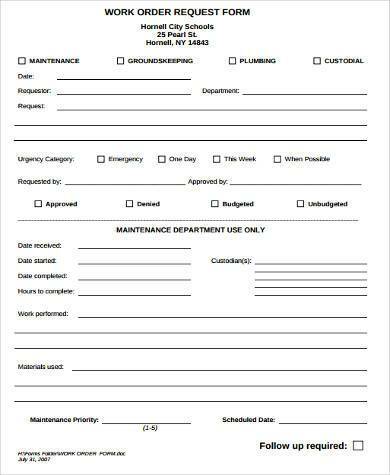 Work Maintenance Request Forms are used by employees when certain maintenance is needed in the workplace. An example would be when faulty machinery needs to be checked or fixed. 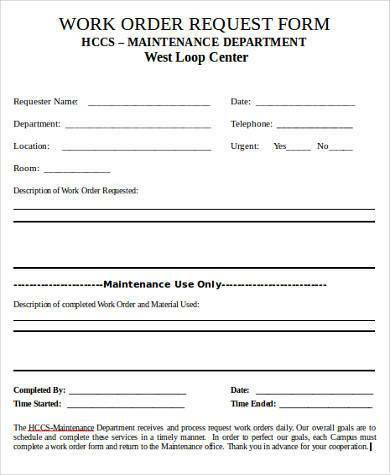 Facilities Management Work Request Forms are used when there’s a request to check the management of certain facilities within the company. 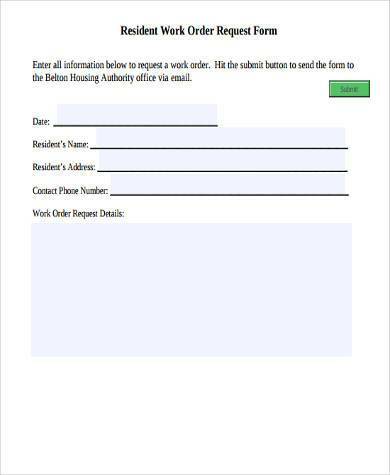 Departmental Work Request Forms are used by those employees who need specific requests from certain departments from within the company. 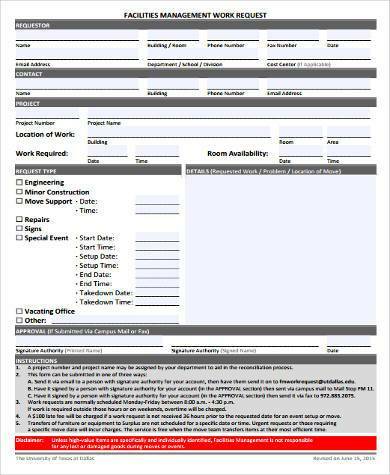 Facilities Engineering Work Request Forms are used when engineering work is required and requested for certain facilities. 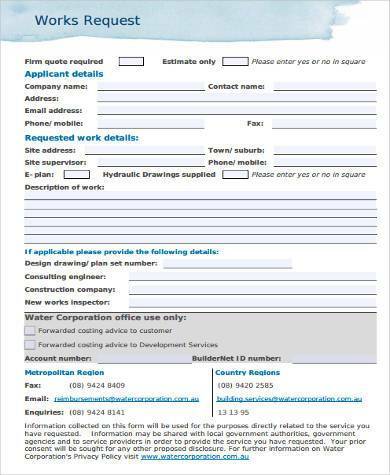 Work Permit Request Forms are used when companies need permits for certain projects that the company desires. 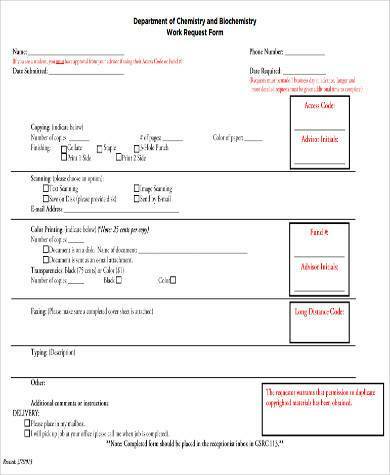 Work Schedule Request Forms are used when employees request for their work schedules. 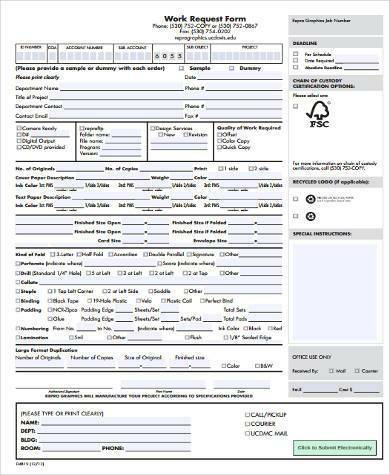 Work Order Request Forms are used when employees need to request for certain resources for certain company projects. 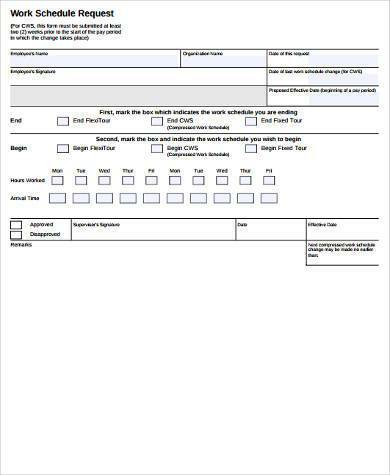 Work Service Request Forms are needed by employees when they require specific services that need to be performed in order to complete certain projects or company tasks. Work requests are important for company businesses because they allow the relevant departments to monitor individual employee projects and appropriately allocate resources to complete them. 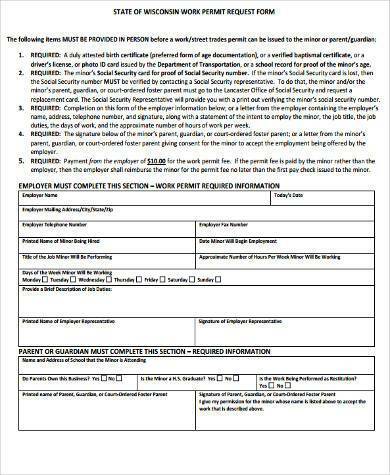 Work requests also allow employees to specify the exact nature of the goods or services in question and communicate their expectations to the business. Basically, these let the employees request only what’s needed to complete certain tasks for the company. Work requests provide accountability and allow for clear and comprehensive requests of a company. Through a work request, the person who’s filing the form may ascertain an upfront estimate of costs, receive status updates on the project, and make periodic changes to the project. These are all important when thinking of certain work requests. These manage what information or resources an employer needs to ensure proper management and optimize their performance.